Serbia’s first female prime minister highlighted the progress made by Serbia over the last three years to regain macroeconomic stability and fiscal discipline. The country has adopted a comprehensive public financial management reform programme as well as important laws relating to regulatory reform, public salaries and administrative procedures. It has developed strategies on e-government, harmonised its jurisprudence and continues to promote a merit-based recruitment system. Progress has also been visible in economic terms. By reducing its budget deficit and restructuring state-owned enterprises, Serbia has managed to reduce its domestic and external imbalances. According to the World Bank, Serbia’s economy is expected to grow by 3% this year. Asked whether she agreed with European Commission President Jean-Claude Juncker, who said in his State of the Union speech that Montenegro and Serbia could join by 2025, she said we should not talk about when we will join. “For me, the journey is as important as the destination itself. That would be my message for the whole region. This is a marathon, be focused on implementing reforms in the most efficient way because it matters for your country,” she added. 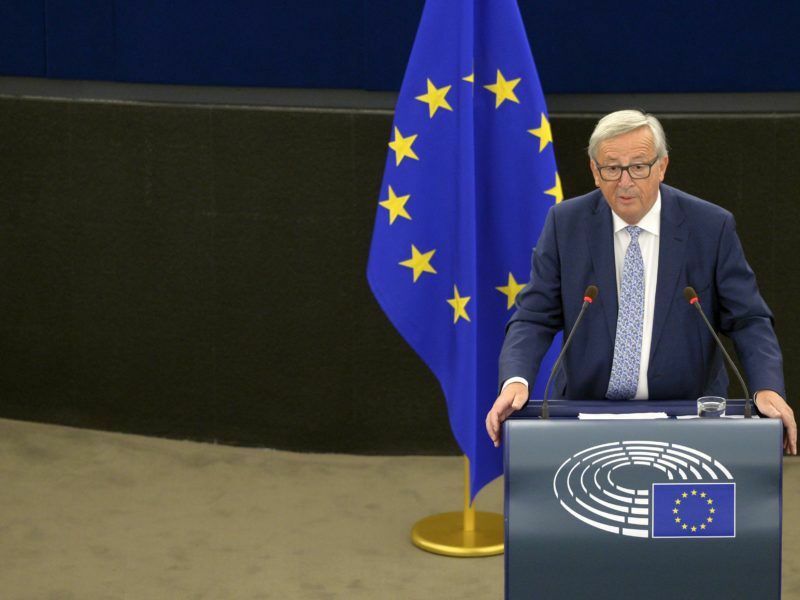 European Commission chief Jean-Claude Juncker stayed true to form on the EU’s enlargement prospects in his annual address on Wednesday (13 September), calling for a “credible enlargement perspective” for the Western Balkans while ruling out any fast track to membership. Pressed for an answer on the timeline, she conceded that Serbia’s goal is to close all chapters between 2020 and 2022. “2020 might be a bit ambitious, but 2022 is more reachable,” she explained. There are still basic conditions to be met – the rule of law, the fight against crime and corruption, good neighbourly relations, basic human rights, freedom of expression – to pave the way towards the EU integration process. 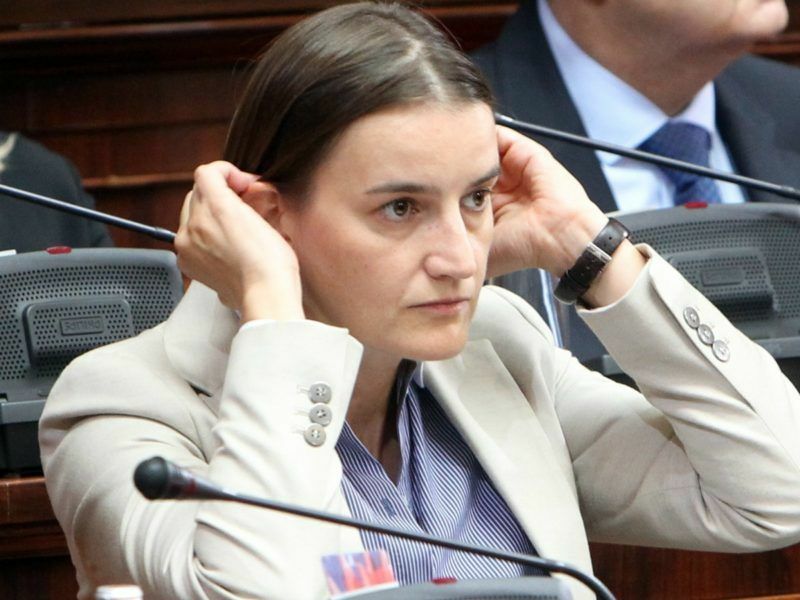 Asked whether Serbia’s reluctance to recognise Kosovo could hamper its EU accession, Brnabić said the issue was not standing, as some EU member states had not recognised the former Serbian province either. “I don’t know why it would be different for Serbia. Spain says that ‘even if Serbia recognises Kosovo, we never will’. I don’t think that will be a precondition for joining the EU,” she said. Spain has been adamant about Kosovo for fear that a recognition could only encourage its own separatist region of Catalonia. Kosovo, a former Serbian province whose 1.8 million-strong population are mainly ethnic Albanians, is one of the poorest countries in Europe. It declared independence from Serbia in 2008. More than 110 countries have recognised Kosovo’s independence, including the United States and all but five European Union members, but Serbia has refused to do so. The EU has encouraged the Western Balkan countries earlier this year to create a common market, which it estimated could create over 80,000 jobs in an area of high unemployment and alleviate tensions. The European Union yesterday (16 March) encouraged the Western Balkan countries to create a common market, which it estimated could create over 80,000 jobs in an area of high unemployment. Regional cooperation and good neighbourly relations are among the basic conditions for any country to progress towards EU membership. 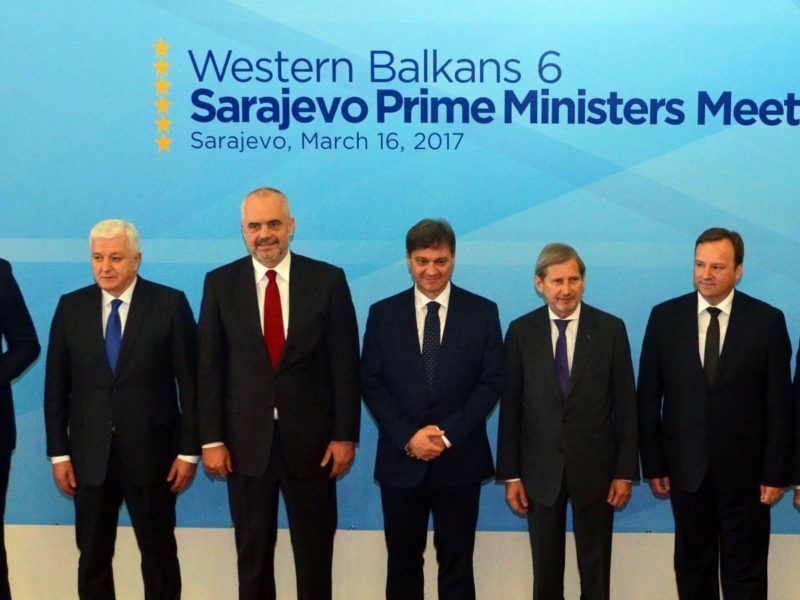 So far relations among the six Western Balkan states remain tense, requiring a delicate balancing act from the EU. “Regardless of who opens more chapters, we work together,” Brnabić told EURACTIV. Asked how will Serbia reconcile its loyalty to and good relations with Russia, its traditional ally, with its EU aspirations, the Serbian PM said the question of either or has never been posed with Serbia. She insisted on the non-issue. “Serbia has obviously had traditionally close ties with Russia and Russia is also very important to Serbia economically. We have an FTA with Russia and for the time being, we want to have Russia as our traditional partner and as an economic partner. I don’t see this being in contradiction with our strategic EU integration,” she added. The Serbian government, opposition and Kremlin have all reacted to a statement by Prime Minister Ana Brnabić that Serbia, if forced to choose between closer ties with Russia and membership of the Union, would choose the EU. EURACTIV.rs reports. 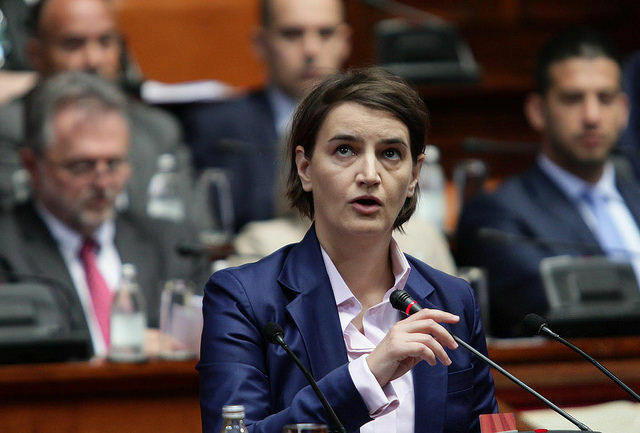 Brnabić, 41, took the premiership in June, less than a year after she entered politics by becoming the public administration minister last August in the cabinet of Prime Minister Aleksandar Vučić, who later won the presidential election and became the head of state. Wait till they try to leave then she will realise joining was more like the 400 Metres. Leaving is the Marathon!